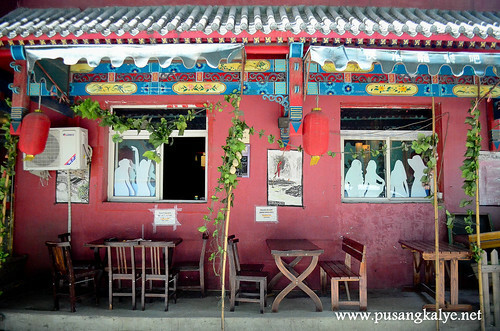 If you want to experience how it is like in Beijing on an ordinary day, the trick is to stay in a hostel in a hutong district. 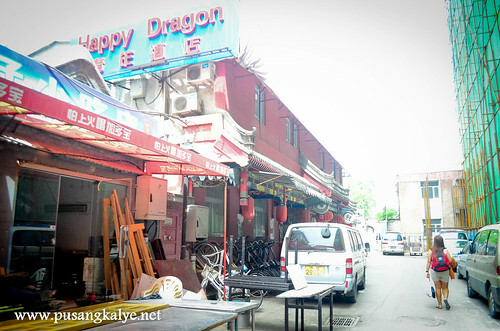 HAPPY DRAGON HOSTEL in Beijing is a classic example. 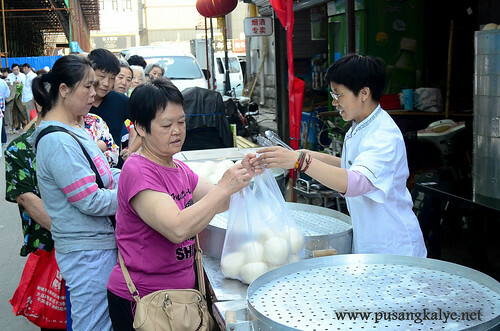 Hutongs are a type of narrow streets or alleys commonly associated with northern Chinese cities, most prominently Beijing. In Beijing, hutongs are alleys formed by lines of siheyuan , traditional courtyard residences. 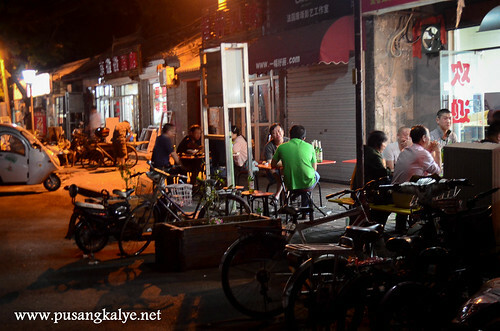 Many neighborhoods were formed by joining one siheyuan to another to form a hutong, and then joining one hutong to another. The word hutong is also used to refer to such neighborhoods. We took subway line 4 for seven stops to Pinganli station and then transferred to Line 6 get off at Dongsi station Exit E (tickets are 2rmb). 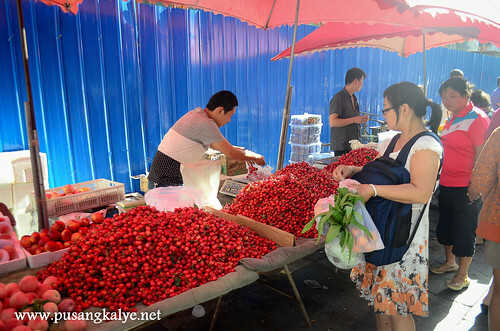 Beijing Happy Dragon Hostel is located at a Hutong area with a busy morning market everyday where you can buy cheap fruits and see everyday life of local people. 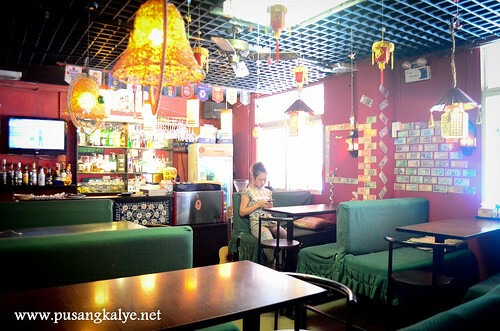 It's a 5-minute walk to the subway station and China Art Museum, 15 minutes walk to Jingshan Park and Wangfujing night market. It's also 20 mins walk to Sanlitun Bar Street, 4 subway stops from Tiananmen Squareand also 4 stops to the Temple of Heaven. 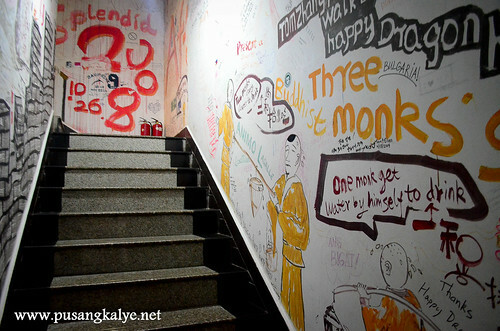 Like in most hostels, staff at Happy Dragon are friendly. Best of all, they can communicate fluently in English which is comforting if you are in a country like China where asking for even simple directions is quite an effort. We stayed in a 4 bed dorm Ensuite. It's a dormitory room but this one only has two double deck beds in so max occupancy is four. That's a good number. It has a private bath too and four lockers, one for each guest. There are individual reading lamps in each bed so that you can still go on with what you do even if the main light is already off without bothering others who might already be resting. There are also individual curtains on the lower decks for that vital feeling of a little privacy. I like such small features that go a long way in terms of convenience. 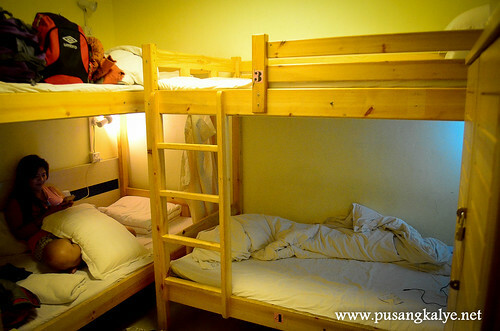 For 90 RMB per bed or roughly 660 pesos for each of us. Good deal na! Though accommodation is rather simple and you might have to forget a little of privacy especially if you are staying in a dormitory room, the social aspect of it is the rewarding part. We had a roommate from Denmark and he is a nice young guy. He was generous to share tips to us especially about the Great Wall and he even made us borrow his Lonely Planet guide book, withou which, the trip to the remote section of the wall would have been impossible. If there is one little disappointment, it would be the restaurant. In their website, I saw lots of photos of guests drinking, and having fun socializing at the resto. That made me think that the place is warm and alive and I was so looking forward to drinking beer with other guests at night and simply have fun. That didn't happen. The mood was rather quiet during the two nights that we stayed with the restaurant mostly empty at any given time of the day. And it was the start of travel peak season in Beijing. Too bad. 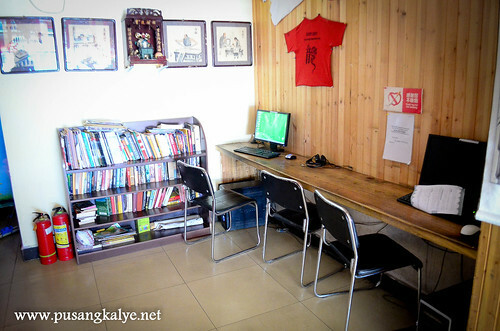 The hostel runs full tours to the Great Wall and other sites. I find their tours reasonably priced. Badaling Great Wall Tour for example is for 180RMB per person and that includes transportation, lunch and tour guide. Tours usually leave early in the morning, and arrived back at the hostel in the late afternoon. 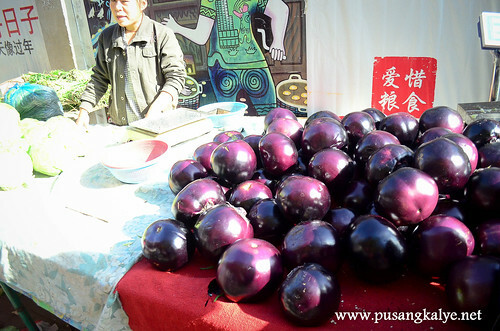 Mutianyu is priced at 280RMB per person and Jinshangling at 260RMB. Not bad. We almost availed of one of the tours for convenience but we managed to muster a great deal of courage to try a section of the wall which is not yet open to tourists. I will write a separate post on that one soon. Other than Great Wall Tours, they also arrange for Kung Fu Show, Chinese Acrobatics, Beijing Opera Show and Hutong Tours. And I am saying it again, the advantage is that you get to observe local people going along with their daily lives. 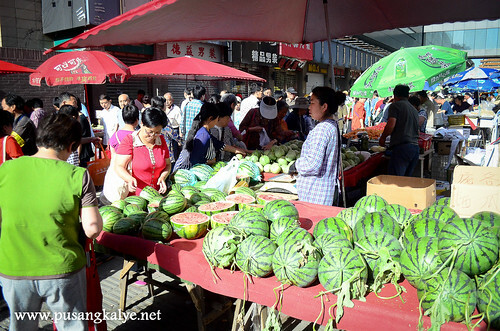 For example, the streets around the hostel transforms into busy flea market every early morning with vendors selling their goods laid on the street. 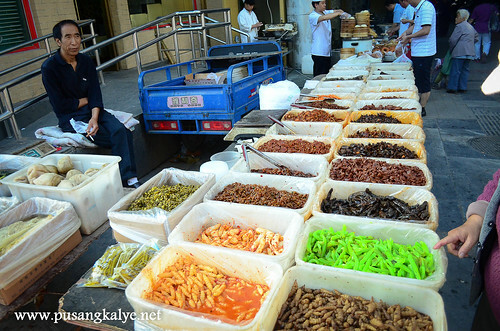 Stuff like second hand clothes, utensils, mats, fruits, lots of fruits and other street food. 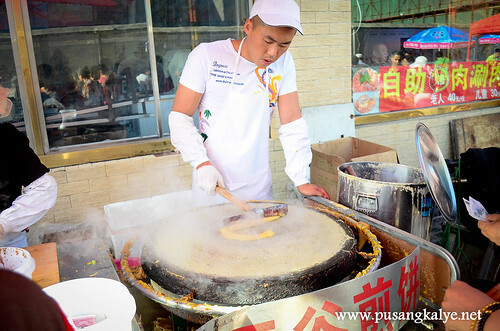 Speaking of food, hutongs are also a good place to hunt food. 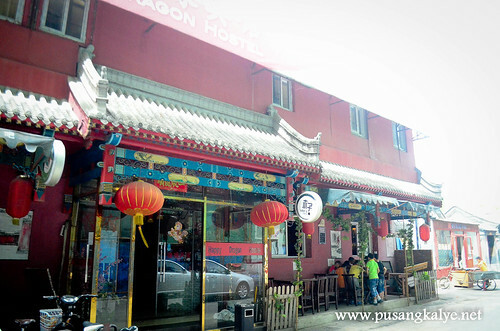 There are many small restaurants in the area. I will write about our experiences next time. The "only god knows what" we ate experiences because since hutong restaurants usually cater to locals, the menu is all in Chinese characters so we had no choice but to rely on pictures and hope the dish is good. So far, all the ones we tried were satisfactory. More on this soon. 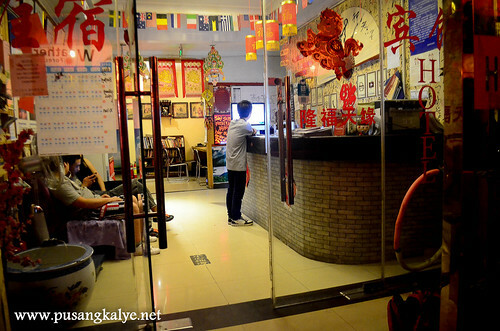 "we are a relaxed, super-friendly hostel in a great location, your comfortable one-stop for a great time to Beijing. 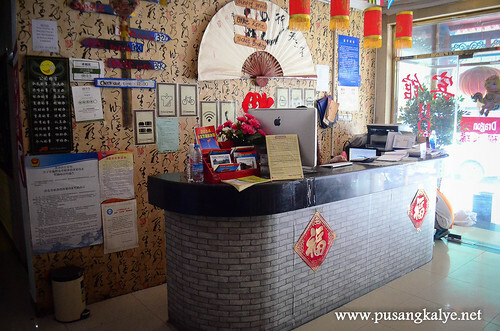 Our hostel not only provides great value and comfortable accomodation, but also runs full tours to the Great Wall and other sites"